When Serge Lutens presented L’Eau, I found it baffling—it smelled of laundry musks and a whisper of florals, but eventually I took it in stride. When the master has been busy weaving opulent tapestries for the past twenty years, it is only fair that he pursues some other olfactory avenues to remain inspired. When L’Eau Froide crossed my path, I no longer felt any strong emotion about Lutens’ new direction. After all, the man has given us glorious Jeux de Peau and De Profundis! As it turns out, L’Eau Froide is wonderful—a crisp, sparkling cologne of incense and citrus. The first impression is a chill of ginger and lemon. Ginger sometimes smells like the most citrusy of all citrus fruits, and this is exactly how it features in L’Eau Froide. 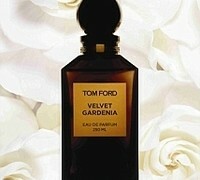 Its effervescence lends itself perfectly to the cool demeanor of a perfume that means Cold Water in French. After a few more minutes, the bergamot, lemon and pepper begin to sing a cappella. As the citrus and cool spices lose their initial glitter, the incense takes center stage. Frankincense, from a resinous material obtained from a Boswellia tree species, is usually associated with dark and voluptuous blends, but set into a crisp and cool frame, it displays its cold and austere side. Even a layer of sweet musk does not do much to warm up this beautiful note in L’Eau Froide. There is not a hint of Christmas high mass about this perfume. It is the mineral scent of snow melting on your cheek. Given its bright and cold character, L’Eau Froide is different from the rich incenses like Comme des Garçons Incense Series and dark blends like Armani Privé Bois D’Encens. The closest reference is the freshness of Atelier Cologne Bois Blonds. However, L’Eau Froide makes incense more prominent, allowing me to enjoy all of its facets, from the peppery bite of its top notes to the elegant sweetness of its base. I am already fantasizing about wearing this chilly perfume during the dog days of summer, which is sure to come very soon. Serge Lutens L’Eau Froide includes notes of citrus accord, lemon, frankincense, and musk. It is sold in the export range. The export line fragrances are available from Aedes, Beautyhabit, Luckyscent, Barneys, Bergdorf Goodman, and from some Neiman Marcus locations. 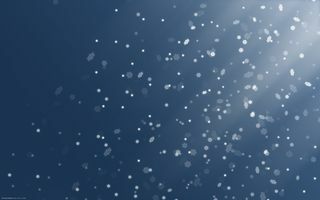 Image: Snowflakes via stockimages, some rights reserved. Dane: I was excited to read the reviews for this one…interesting to read that both you and Octavian mention Atelier. His review, however, is not so favourable. Victoria: Dane, hope that you can try it soon. Bois Blonds is such a natural comparison for this crisp, cologne style fragrance. Off to read Octavian's review! Victoria: It is definitely a simple, minimalist Lutens, if you will. However, the incense note is beautiful and the way it is ornamented to create a chilly impression is great. Minimalist, but miles away from bland (a la L'Eau). Amer: Sometimes I get a bit blatant when expressing my oppinion. I apologise if I offended you but let me explain why Eau Froid seems to me that fails to accomplish its mission. I have been wearing Eau froid for almost a week now hoping I will be able to get past the showergel connotations. It is a strange case really because I find it technically immaculate (technically speaking nowhere near the mainstream fragrances and ofcourse my skills). Its lasting power and sillage are very good for something that transparent but unfortunately everything that comes close to the area of functional products becomes tainted. It is the same story as lemon, lavender and musks really, themes that once were concidered noble and now are the laughing stock of perfumery materials. Every now and then some phenomenal fragrance appears and reintroduces us to what we’ve come to look down on, giving new life to a theme. However, eau froid is not the perfume that will make me love freshness all over again because the central idea is not incomrporated in a sound aesthetic vision. Victoria: Amer, oh, you certainly haven’t offended me by not liking L’Eau Froide! And it takes a lot to offend me, in the first place. In fact, I like hearing opinions different from mine, because I learn this way too. So, don’t hesitate in sharing your impressions, positive or negative. al: Thanks for excellent review.I am very impress on your detail review. One question.